Here is the preview link to Volume Two! I've been working hard and now I'd love some feedback before the big event! If you haven't heard...OCT 10 is the launch date for Volume Two! Last update, I promise! At least until Volume Two launches next year. Get a birthday or Christmas gift ahead of time! These are the last days of the Maelorum Volume One reprint campaign! See the new map of Lordell City, and a lot more! Can I entice you with this? Books are shipping: two caveats. 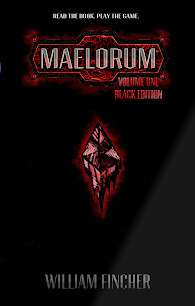 Maelorum Volume One is Complete. Your Ebook edition sneak peek! An in-depth review of Maelorum! Well, what could be better than achieving full funding? Getting some extra funding of course! We still have a few days left! If you are currently pledged at the 25.00 level or less, I have some awesome stuff for you if you can spare just 10.00 more. Last time I updated you, Maelorum was at 45% funding with 16 days left. Maelorum is now 60% funded with 13 days left! Hello everyone, I hope all is well.